There has been more travel disruption and thousands of homes left without power after heavy snow hit large parts of the UK. Authorities issued a yellow weather alerts for ice in Scotland, Northern Ireland and north-east England and snow in Wales and parts of England. 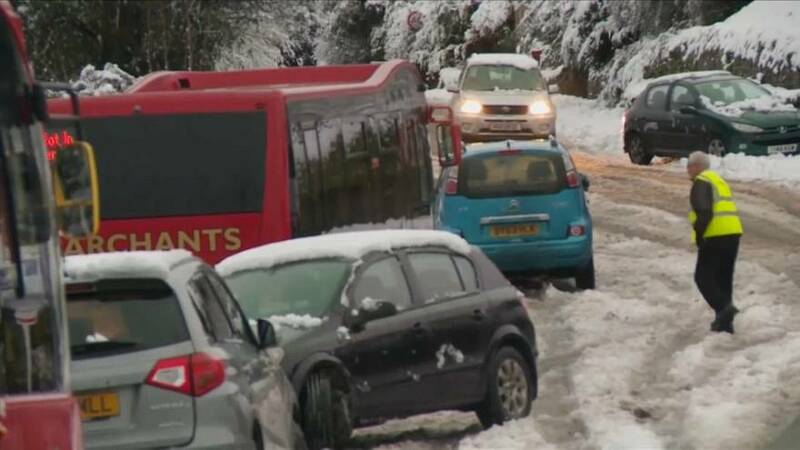 Travellers were stranded in the south-western county of Gloucestershire after heavy snow made roads unusable for vehicles. The Western Power Networks, the electricity distribution network operator for the Midlands, South Wales and the Southwest, said more than 14-thousand properties had been cut off. One of Britain's busiest motorways, the M1, was closed southbound in Leicestershire after a lorry jack-knifed in snowy conditions, Sky News reports. A total of 14 flood warnings are in place across England - meaning flooding is expected - along with 96 flood alerts. Authorities have warned that snow could also impact flights across the country.